Omar Youssef, Research Associate, UAIPW, Altaf Engineer, PhD, Assistant Professor UAIPW and SoA, and Aletheia Ida, PhD, Assistant Professor, UA School of Architecture (from left to right) having a discussion at Smith House. Aletheia Ida, PhD, Assistant Professor, UA School of Architecture, Altaf Engineer, PhD, Assistant Professor UAIPW and School of Architecture, and Omar Youssef, Research Associate, UAIPW (from left to right) standing outside Smith House, UAIPW. Casey M. Lindberg, PhD, M.Arch, a post-doctoral research associate at the UAIPW demonstrates the use of a small heart rate sensor used to non-invasively measure the health and stress response of participants in a range of built environments. 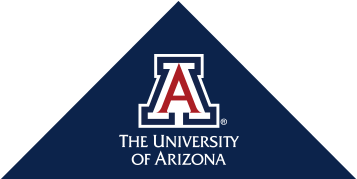 The University of Arizona Institute on Place, Wellbeing, and Performance (UA IPWP) leverages knowledge and evidence through research and design to achieve tangible results optimizing and maximizing people's productivity, creativity, and wellbeing from employer and consumer perspectives. The University of Arizona Institute on Place, Wellbeing, and Performance (UA IPWP) seeks to redefine human health to fully encompass the role of the built and green environment in health and wellbeing, through research, education, practice, and policy change. An interdisciplinary institute at the University of Arizona (UA), the UA IPWP links expertise of the UA College of Medicine -- Tucson, the Arizona Center for Integrative Medicine (AzCIM), and the UA College of Architecture, Planning, and Landscape Architecture, actualizing the university's commitment to a vision of human health that fully encompasses the role of the built and natural environment in health, wellbeing and healing. Through cutting edge research the UA IPWP is taking person-centered health to the next frontier--"Person and Place-Centered Health and Wellbeing. BMJ OEM paper on workplace design impacts on activity and stress.